When people think of estate planning, they think of wills. For many, it is the single most important tool to see that assets are passed on to the next generation appropriately. At the Law Office of Stephen Ross in Pottstown, Pennsylvania, we understand the importance of creating solid wills: wills that will hold up if put to the test. Our attorneys have extensive experience creating both stand-alone wills and wills that are woven into larger, more complex estate plans. No matter what your needs are, we can help. Are your goals simple? Do you just want to put something together so that your kids will inherit your property without having to go through any legal hoops? Do you want to name a guardian for your child in case something happens to you? We can put together an estate planning package that will have a will as its centerpiece. This package can also include a living will, powers of attorney and healthcare powers of attorney. We will use every available resource so that you can rest assured that your wishes will be followed if you become incapacitated or pass away. Are your needs more complex? By taking the time to carefully review your situation, our lawyers will determine what type of estate plan is necessary to meet your needs. If your case requires the creation of a series of complex trusts in addition to a will, then we can work these two tools together. The advantages of a will are clear. It is a simple form, a piece of paper that dictates how assets will be passed on from one generation to the next. The disadvantages start to appear when an estate is more complex. If there are real estate holdings in many states or other similarly challenging issues, a will may need to be supported by other estate planning tools. Our lawyers have the experience to determine when a will can effectively meet your goals and when other tools may be necessary or more appropriate. You can be confident in our guidance. Our attorneys are ready to help you get positive results. 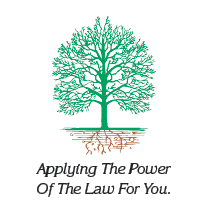 Contact us to discuss your case with our Pottstown wills lawyers. We serve Montgomery County, Chester County, Berks County, Philadelphia County, Lancaster County and all surrounding counties in Pennsylvania.